It is not possible to modernise European air traffic management infrastructure unless competing companies work together and airlines are involved in the development of new technologies to ensure that they satisfy operational needs, the executive director of an EU programme aimed at overhauling Europe's airspace told EURACTIV in an interview. Decisions over night flights or flight routes are "very political" and have to balance between the national, regional and local levels, says Sergi Alegre Calero from the Airport Regions Conference (ARC). The European level, he says, should only interfere in cases where local populations and other stakeholders are not consulted or when their decisions are being ignored. Global interoperability and measurable targets are key requirements for a modernised system offering significant reductions in aviation fuel burn and CO2 emissions, writes Antonio De Palmas, president for European Union and NATO relations at Boeing. The European Union must adopt fuel economy standards for trucks and other heavy vehicles, something which would both increase energy independence and reduce carbon emissions, argues Deborah Gordon. To tackle climate change the United States and Europe should set higher fuel efficiency standards for cars and work with regulatory agencies from other countries to create harmonised global standards, argues Eberhard Rhein. 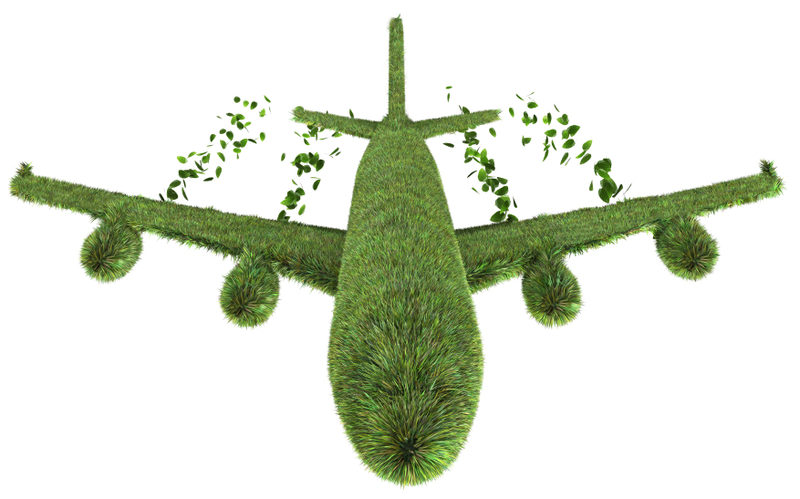 Aviation biofuels: A pie in the sky? The solar-powered Solar Impulse plane landed in Brussels late on Friday on its first international flight, 13 hours after leaving Payerne airport in western Switzerland. The landing was delayed by about 40 minutes by strong winds. Take-off on Friday morning had already been delayed by fog. Bertrand Piccard, the man behind the Solar Impulse idea, described the flight as a "historic moment", and stressed its symbolic importance for flight using renewable energy. SPECIAL REPORT / Under pressure to cut carbon emissions, the aviation industry is urging policymakers to support the development of biofuels for aircraft in the same way they have done for road transport. EURACTIV reports from the Farnborough Airshow. SPECIAL REPORT / Revolutionary changes in aircraft engines, coupled with more streamlined aircraft designs, are making flying cleaner as the industry aims to slash carbon emissions by half in the decades ahead. EURACTIV reports from the Farnborough International Airshow. SPECIAL REPORT / From the flight deck to the wheel brakes, new generations of aircraft that produce far less pollution increasingly rely on imported raw materials which are themselves dirty to produce. EURACTIV reports from the Farnborough International Airshow. The European Union is "totally committed" to reaching a global deal on carbon emissions from airlines, the Commission said yesterday (12 July) as efforts resumed to defuse an international row over the issue. SPECIAL REPORT / A long-standing debate in Belgium over the Zaventem national airport has been reignited by EU proposals to vet national decisions over airport noise restrictions. A local NGO told EURACTIV the proposed rules would almost trigger "war" with Flanders if implemented. In a bid to tackle the expected doubling of air traffic by 2030, MEPs have called for increased transparency and competitiveness in the allocation of airport slots. SPECIAL REPORT / Europe’s plan to consolidate a patchwork of national air traffic control systems to reduce flight delays and boost environmental performance appears grounded for now, hampered by national governments’ inaction and fear of losing sovereignty. EURACTIV reports from the Farnborough Airshow. Europe’s airline executives launched a new salvo against the EU’s Emissions Trading System (ETS) yesterday (24 May), just weeks before an international working group is due to make new proposals aimed at resolving the dispute over pricing air carbon emissions. Global airlines today (11 June) urged the European Union to defuse an international emissions row as a group of nations led by China, the United States and India kept up their opposition to EU plans to force carriers to join a carbon trading scheme. A global resolution to Europe’s battle with China and other countries over curbing aviation emissions is unlikely before October 2013, risking growing pressure from domestic airlines and trade partners.